WEN Wales’ Trustees are elected from our membership for three year terms, and can stand for a second term if they wish. The Trustees form our Management Committee, which is responsible for the organisation’s strategic development and governance. Rhian Davies, Chief Executive of Disability Wales since 2001 is a longstanding advocate of disabled people’s rights and equality. She has led on developments including Disability Equality Training, Direct Payments and Disability Hate Crime. Rhian chairs Welsh Government’s National Steering Group on the Framework for Action on Independent Living. She recently gave evidence to the UN Committee on the Rights of Disabled People in Geneva during the first periodic review of UK Government’s implementation of the Convention. Rhian was Disability member on Welsh Government’s Tackling Poverty External Advisory Group and is a former member of the EHRC’s Statutory Wales Committee. As a Trustee Rhian will contribute actively to raising WEN’s profile as the lead national gender equality body in Wales and progressing its agenda to achieve the empowerment and equality of all women and girls in corporate and civil life. Louise is originally from Swindon, Wiltshire but has lived in Cardiff since 1999 after coming to study at the University of Glamorgan (now University of South Wales). She is currently Senior Programme Manager for UpRising, a national youth leadership development charity. Her role is to manage the three Leadership Programmes taking place in Cardiff. Prior to joining UpRising, Louise was a freelance creative producer and before that she was Head of Programming at Wales Millennium Centre. She was also Chair of Creu Cymru, the development agency for theatre and art centres in Wales and on the board of Carlson Dance Company. Louise is keen to help WEN Wales in the next phase of the companies’ development. She is passionate about equality and diversity and truly believes in the values, aims and aspirations of WEN Wales. Maria is the Director of Women Connect First whose aim is to empower and create leadership amongst BME women in Wales. Maria arrived in Wales from Colombia as a political refugee in 1978. Over the past 35 years, Maria has been actively involved within the third and public sectors in Wales, developing innovative organisations, projects and services that respond to the needs of Black and Minority Ethnic (BME) communities. She is a founder member of the Black Association of Women Step Out (BAWSO Women’s Aid), AWETU mental health project, Multicultural Crossroads, the Black Voluntary Sector Network Wales to name but few. Frances is the Chief Executive of Llamau – Wales’ leading young people and women’s homeless charity. Llamau works across Wales and with over 8900 disenfranchised and vulnerable young people and women a year. Frances was the founder and first Chair of Cymorth Cymru, Wales’ umbrella body for organisations working with vulnerable people in Wales. Frances is also the founder and Chair of the EYHCymru coalition, a new partnership of charities, agencies, academia and businesses that have joined forces to raise awareness and take a radical approach to ending youth homelessness in Wales. Frances is a member of the Supporting People National Advisory Board and Chair of its Governance work stream, as well as a board member of the independent think-tank the Institute of Welsh Affairs. She also serves on the Advisory Panel of the Children’s Commissioner. With nearly 20 years experience working in the public, housing and third sectors in Wales, Joy has a comprehensive knowledge of organisations providing public services, and the challenges they face. Joy set up her own business in January 2017 to help individuals, teams and organisations identify and build on their strengths to deliver successful projects and achieve personal goals. She is former chief executive of Chwarae Teg and executive director of Cymorth Cymru. 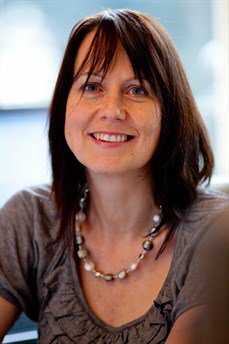 She’s also worked in policy development for Welsh Government, Welsh Local Government Association and the Chartered Institute of Housing Cymru. She is currently chair of Cynon Taf Community Housing Group and a board member of the Community Foundation in Wales. Joy is a fellow of the RSA and her contribution to the equalities agenda was recognised in 2016 with an Honorary Fellowship from Glyndwr University. Kerry-Lynne started her career in journalism in 2007 at the Glamorgan Gazette before joining Wales News Service as a Senior Journalist, where she wrote for consumer magazines and national newspapers. Kerry-Lynne moved into PR and Communications in 2009 when she joined Diabetes UK Cymru where she led PR and communications and established the charity’s social media presence. She was named one of PR Week’s 29 under 29 most talented PR professionals for her work at the charity in 2011. In 2013, Kerry-Lynne joined Macmillan Cancer Support as the Senior Communications Officer for Wales working in PR, social media and marketing and is now the charity’s Senior External Communications Manager for Wales, leading the external communications team and sitting on the Wales leadership team. Kerry-Lynne was became a trustee in 2018 after completing WEN Wales’s mentoring scheme. Mutale is Chief Executive of Bawso, a leading third sector specialist provider for Black Minority Ethnic women and children facing domestic and all other forms of abuse and violence. Mutale has also been the first Chair of the Care Council for Wales, first Vice Chair of Cardiff and the Vale University Health Board and the first Independent Chair of the Board of Community Health Councils in Wales. She has had memberships within several Welsh Government groups. Mutale has won several awards over the years, including an OBE for her work in social care and voluntary sector. Mutale is looking forward to contributing to WEN Wales ‘s agenda on Domestic Abuse, Violence Against Women and Sexual Violence from a BME perspective. the profile of WEN Wales. Shelagh has three very young granddaughters and is determined to support them to achieve gender equal status in their lives.